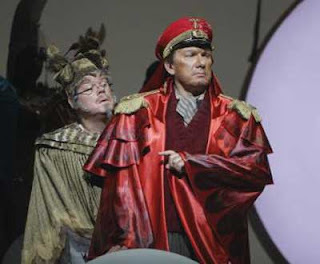 Boychik Lit: LA Opera Review - All A-Twitter! Your country has just been humiliated in a disastrous war, in which it was the aggressor. A weak coalition of progressives and moderates has taken over the government, but they are printing so much money to pay the huge war debt that hyperinflation is sure to follow. Right-wing fanatics are just waiting for the opportunity to take over. You and your countrymen are looking for a way to repair your lost ideals and establish a new national identity and recover a sense of pride. You want to be optimistic, but you fear no matter what you try, the fates are allied against you.